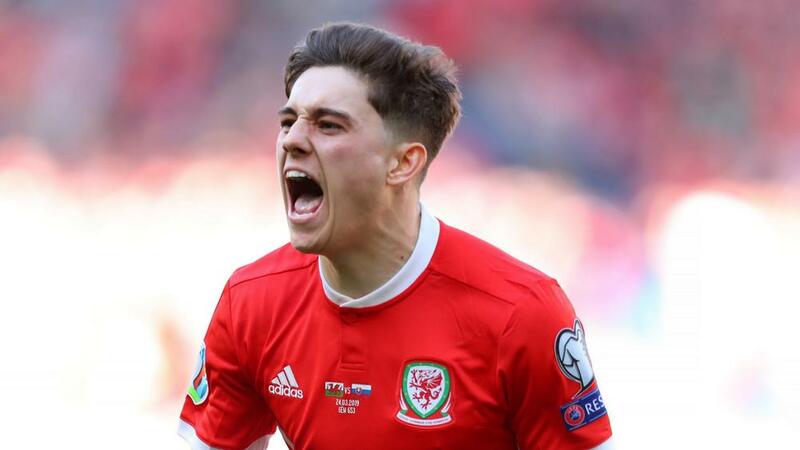 Wales got its bid to qualify for Euro 2020 off to a winning start after Swansea City winger Daniel James scored the only goal in a 1-0 victory over Slovakia at Cardiff City Stadium. The 21-year-old struck after five minutes and Ryan Giggs' men rarely looked like losing against opponents they are expected to be vying with for a qualification spot from Group E.
Croatia are tipped to top the group but after a performance in which the talents of James, David Brooks and Harry Wilson caught the eye more than those of Gareth Bale, Wales have every reason to look forward to a successful campaign. Wales coped admirably without the injured Aaron Ramsey as Giggs' well-drilled midfield kept the dangerous Marek Hamsik quiet to ensure they began with three points. The host took the lead when a burst of pace from Brooks put Slovakia on the back foot before James dispossessed Peter Pekarik on the edge of the box and rifled home with a powerful right-footed finish. Giggs' men did not let Slovakia settle, hassling and harrying them for possession and dominating the early exchanges, Brooks sending a first-time shot wide from 12 yards as they probed for a second. When the visitor did enjoy spells of possession, they came up against a packed Welsh defence. Brooks almost poached a goal on the counter-attack before the break, curling a shot narrowly wide from the corner of the penalty area. Slovakia went close through Albert Rusnak as Wales were tested early in the second half, the winger heading wide from six yards out, but James' pace was always a threat at the other end. The Swansea man pulled Slovakia's defence apart only for Brooks to drag his shot wide, but Slovakia goalkeeper Martin Dubravka was required to make a diving save to keep Wilson's angled drive out with 17 minutes left. There was a panicky moment for Wayne Hennessey when Rusnak's cross was headed goalwards from close range by substitute Michal Duris but the Crystal Palace keeper showed quick reactions, saving above his head to the relief of the home crowd.